Natural and organic solutions for getting rid of fusarium wilt on vegetable plants. 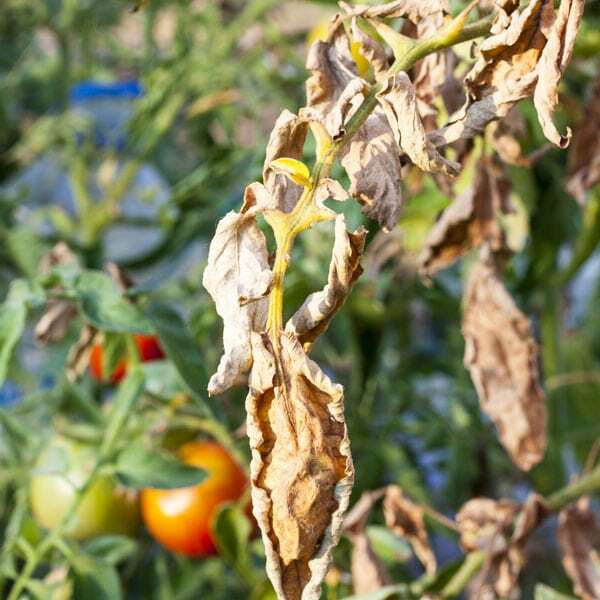 Commonly found throughout the United States, Fusarium wilt is a soil-borne pathogen that attacks potato, tomato, eggplant and pepper plants. Disease fungi (Fusarium oxysporum) enter through the roots and interfere with the water conducting vessels of the plant. As the infection spreads up into the stems and leaves it restricts water flow causing the foliage to wilt and turn yellow. Disease symptoms often appear later in the growing season and are first noticed on the lower (older) leaves. As the disease progresses, the younger leaves will also be affected and the plant eventually dies. In many cases, only one branch or side of the plant show symptoms. Fusarium wilt can survive for years in the soil and is spread by water, insects and garden equipment. The fungal disease develops during hot weather and is most destructive when soil temperatures approach 80˚F. Dry weather and low soil moisture encourage this plant disease. Plant resistant varieties when available. Remove stricken growth from the garden and sterilize pruning clippers (one part bleach to 4 parts water) between cuts. 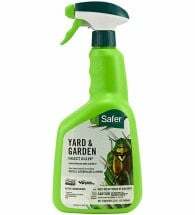 Use Safer® Yard & Garden Insect Killer to control many garden insects, like cucumber beetles, which are known to spread the disease. High nitrogen fertilizers may increase susceptibility to the disease. Test your soil and use a slow-release, organic fertilizer in the vegetable garden. 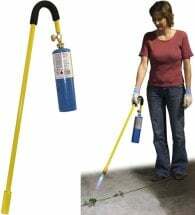 Hand pull or spot treat weeds using a weed flamer or natural herbicide — many weed species host the disease pathogen. 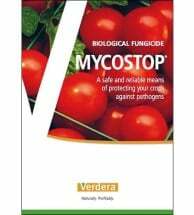 Mycostop is a biological fungicide that will safely protect crops against wilt caused by Fusarium. 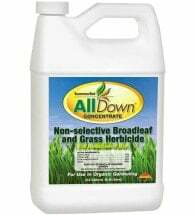 Approved for use in organic crop production, it can be applied as a soil spray or drench (1-2 gm/ 100 sq ft) to seedlings, ornamentals and vegetables. Apply sufficient water during application to move Mycostop into the root zone. If the disease persists, it is best to remove the entire plant and solarize* the soil before planting again. * To solarize the soil, you must leave a clear plastic tarp on the soil surface for 4-6 weeks during the hottest part of the year. Soil solarization will reduce or eliminate many soil inhabiting pests including nematodes, fungi, insects, weeds and weed seeds.